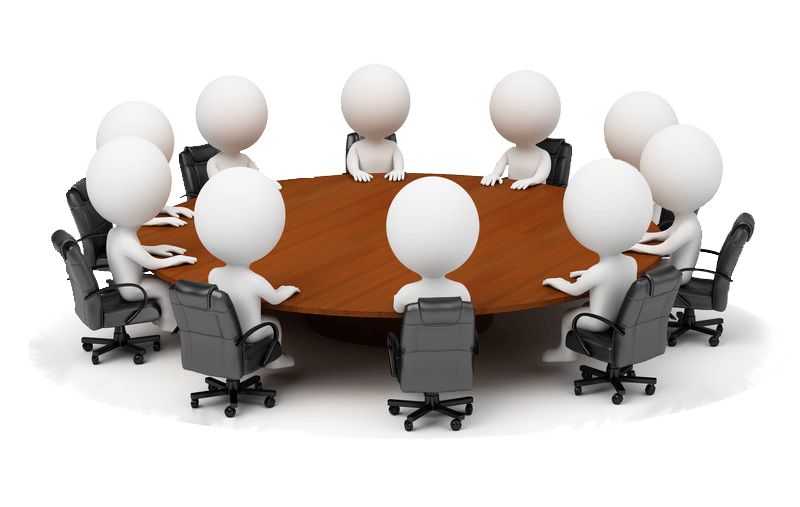 Meetings, while necessary, are often not as productive as they should be. Ideally, participants should leave a meeting feeling energized and clear on their path forward. Sometimes, though, meetings seem overly-long, unfocused, and meandering. 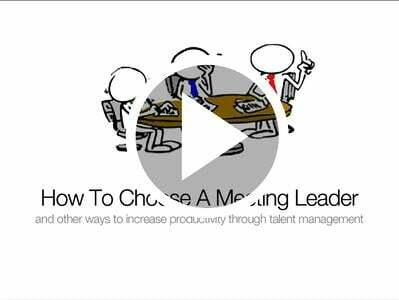 Check out this pre-recorded webinar, "How to Choose a Meeting Leader"
Are you having trouble making the most out of your meetings? When you have a specific purpose for a meeting in mind, you can use your knowledge of DISC to put someone in charge that can most easily facilitate that goal. What happens when a D is in charge of a meeting? A person with a D style personality is a good choice to lead a meeting if efficiency is your priority. Of all the DISC personality styles, a D personality is the one most likely to dislike long meetings. Often, people with a D personality feel like meetings are a waste of their time. Easily bored, they have no patience for activities that they consider unnecessary. They are extremely productive and results-oriented, and in a long meeting can feel frustrated by prolonged discussions and a lack of forward momentum. They’d rather be doing work that they consider more a more productive use of their time. As a result, people with a D personality tend to keep meetings as streamlined as possible. When they’re in charge (and they love to be in charge), they will make sure that the discussion gets right to the point, and won’t spend a lot of time of consensus building. They will take immediate charge, make tough decisions, be blunt, cut out chit-chat, make sure the necessary information is conveyed, and delegate tasks as needed. If you’re in a time crunch, a D is the perfect choice to keep things streamlined, efficient, and to the point. What happens when an I is in charge of a meeting? A person with an I style personality is a good choice to lead a meeting if morale boosting is your priority. In contrast to the D personality style, the I personality style is the DISC type most likely to enjoy meetings. Energized by the company of others, the I is at their most inventive and inspiring when they’re connecting with others. As a result, meetings with an I at the helm are typically social and collaborative. An I considers a meeting an important opportunity to recharge everyone’s batteries through creative communication. Yes, the I-driven meeting might meander a bit, but if the goal of the meeting is to foster creativity, connection, and improved morale, the time will be well-spent. An I has a knack for seeing the big picture, and will use their sense of humor, charisma, and natural flair for communication to bring out the best in others. If you have a project that is suffering because of a lack of enthusiasm from the team, an I is the perfect choice to turn things around. As a meeting leader, an I has the power to change minds, generate enthusiasm about a project, open the lines of communication, inspire creative and out-of-the-box solutions, and infuse participants with a helpful dose of optimism. What happens when an S is in charge of a meeting? A person with an S style personality is a good choice to lead a meeting if team building is your priority. People with an S personality strongly prioritize group unity, equity, and stability. If you are in a situation where a project is suffering because a team is experiencing infighting, personality conflicts, and lack of cohesion, an S is the ideal choice for a meeting leader. An S is sympathetic, generally cares about the well-bring of the team, and is skilled at conflict resolution. Their supportive and compassionate nature will drive them to work tirelessly to create a harmonious work environment. If you’re looking to make sweeping changes or need a facilitator to make fast, self-directed decisions, an S will potentially struggle with those tasks. However, if you need someone to help the group gel as a team, mediate conflicts, and create unity, an S is the perfect choice to lead the meeting. What happens when a C is in charge of a meeting? A person with a C style personality is a good choice to lead a meeting if organization is your priority. If you have a project that is experiencing problems due to inefficiency, unclear expectations, missed deadlines, or problematic scheduling, a person with a C personality is the ideal choice for a meeting leader. Similarly, if you want to make sure that a meeting solidifies the overall structure of a project, including communicating clear directions, expectations, and instructions, a C is well-suited to the task. A person with a C personality will set a clear itinerary for a meeting, and will follow it to the letter. Although they won’t take time during the meeting for socializing, when it comes to content they won’t rush. Accurate, logical, and thorough, a C will be incredibly prepared for the meeting, and will make sure that no detail is left unattended to. If there is a lot of information that needs to be conveyed, or an organizational framework that needs to be implemented, a C will handle the task with ease. Interested in learning more about how DISC personality styles act and interact?